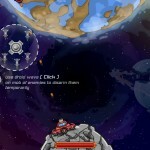 Sci Fi Defense Shooting Action Upgrade Click to find more games like this. Well, the Moon is in trouble again. It would be nice if it could solve its own problems for once, but noooo, let the Earthlings handle it. So we'll roll up our sleeves once more and jump into the fray. 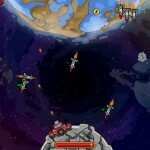 In the new satellite-defending vertical shooter, That's My Moon 2: Phantom Menace, you are up against waves of powerful intruders. 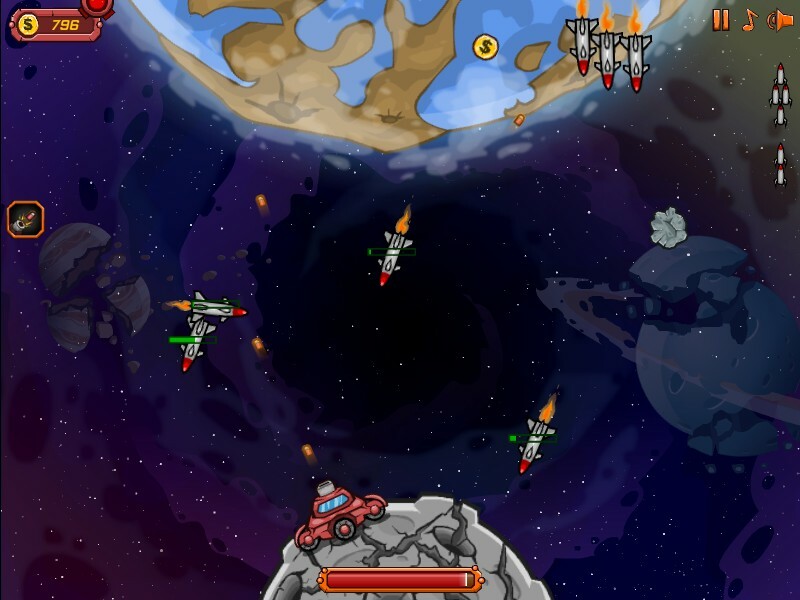 You can't leave the surface, so all you can do is shoot out of your spaceship and send your little drone out to pick up money and power-ups. Easy as moon pie! 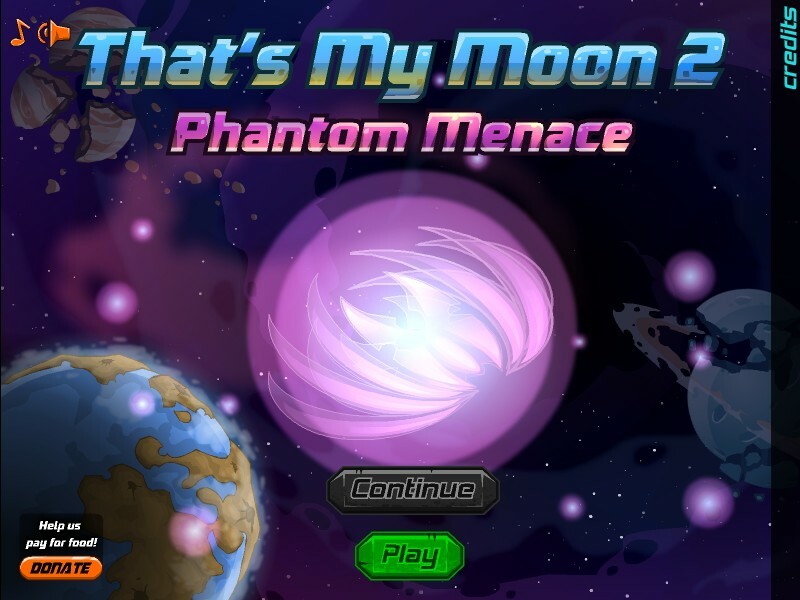 That's My Moon 2: Phantom Menace As in the previous game, it's enough to point the cursor (the drone) in the right direction, and the spaceship will do the shooting for you. 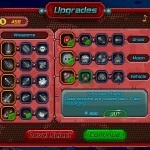 Unlike the previous game, you don't have to click to pick up money, which comes as a big relief. The various weapons don't come floating by in the middle of levels anymore. 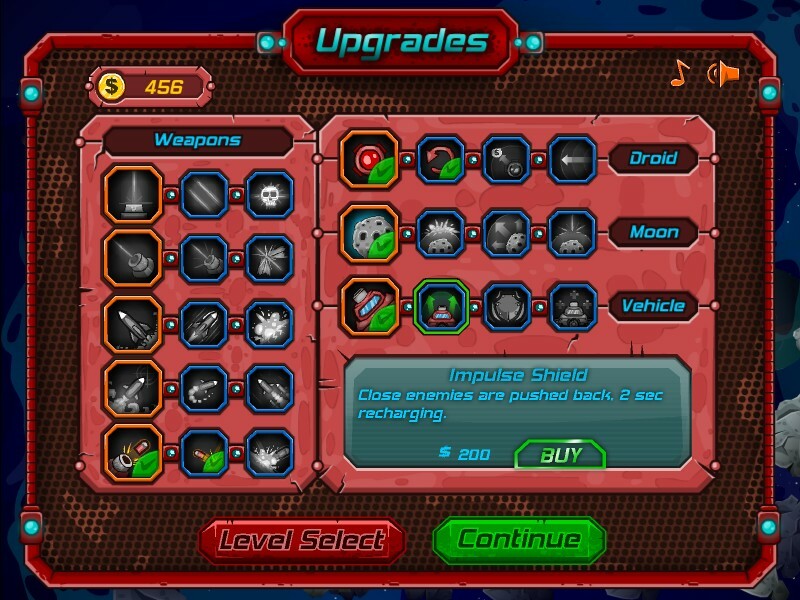 You can buy them as upgrades and choose among them by pressing the [spacebar], meaning you can change your enemy-blasting style mid-level. 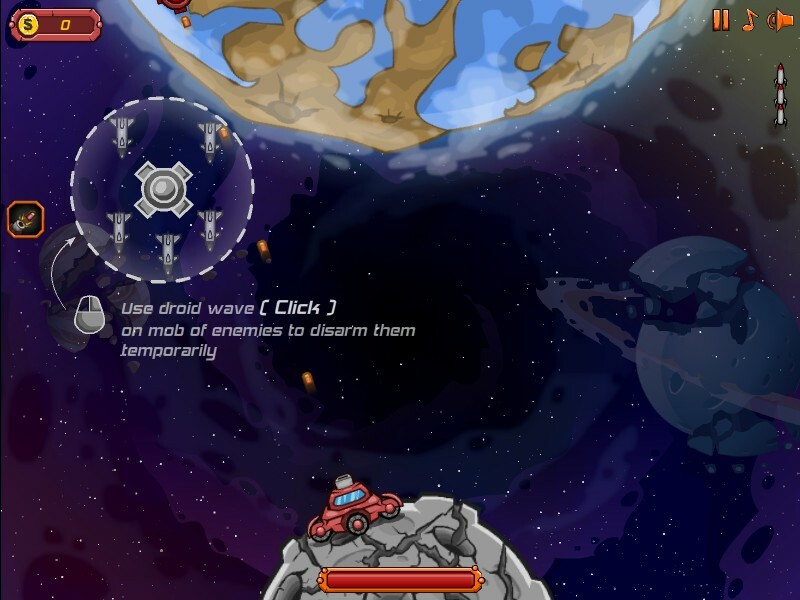 The enemy ships have been updated, which is to say that they are meaner and shoot a lot more lasers, so avoiding them is as much a part of the fight as firing at them. If you're careful enough, progression through the sixteen levels should be relatively smooth and grinding won't be necessary. 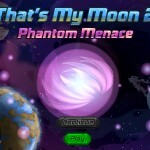 That's My Moon 2 is a decent successor in that it is more fun than the original and comes with some important updates. However, don't expect big Star Wars references just because the game uses the name of an actual Star Wars film; this is about protecting the Moon. Because the Moon is very important. For some reason. Leftclick to release stunning wave.